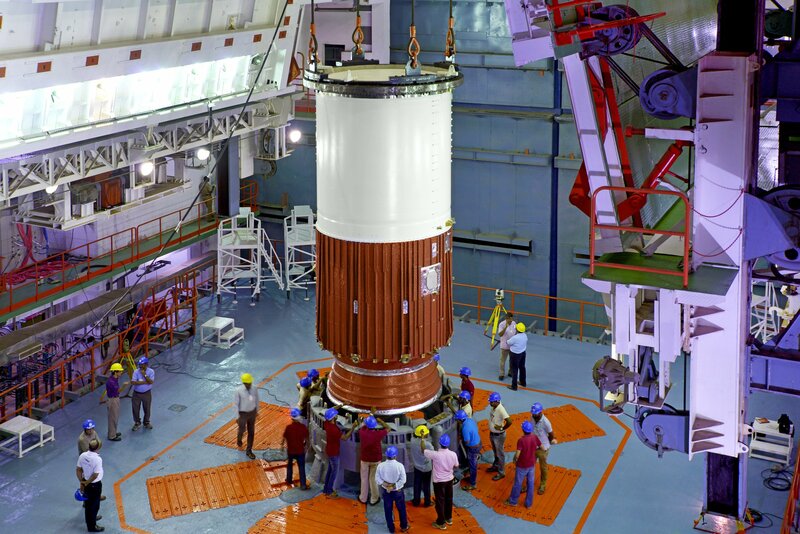 India’s Polar Satellite Launch Vehicle takes shape for an August 2017 liftoff with the country’s eighth navigation satellite, sent into orbit to provide replacement capacity for IRNSS-1A that launched in 2013 and suffered problems with its atomic clocks. 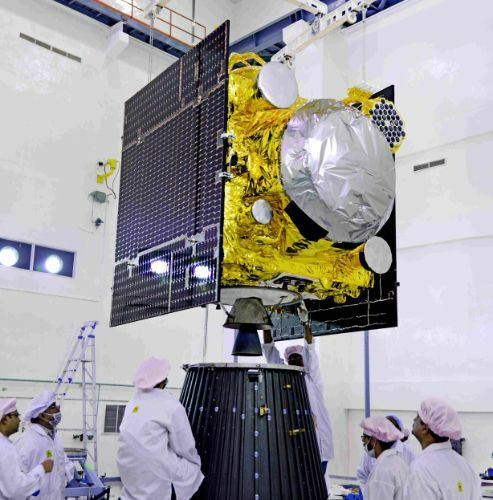 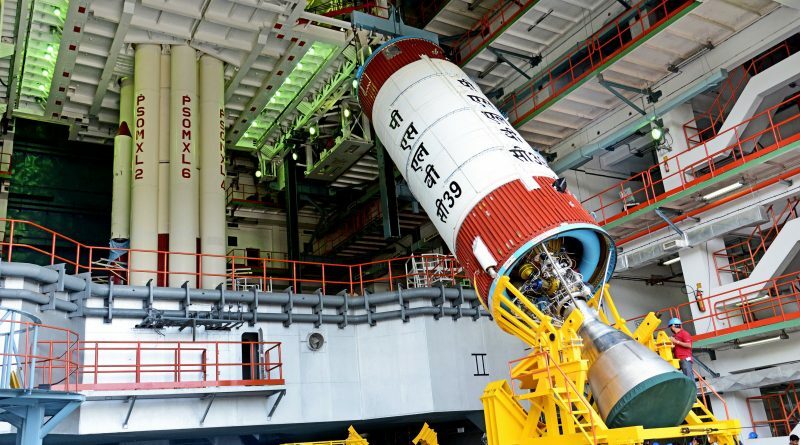 IRNSS-1H ensures the constellation remains in its one-redundant configuration with seven functional satellites in orbit. 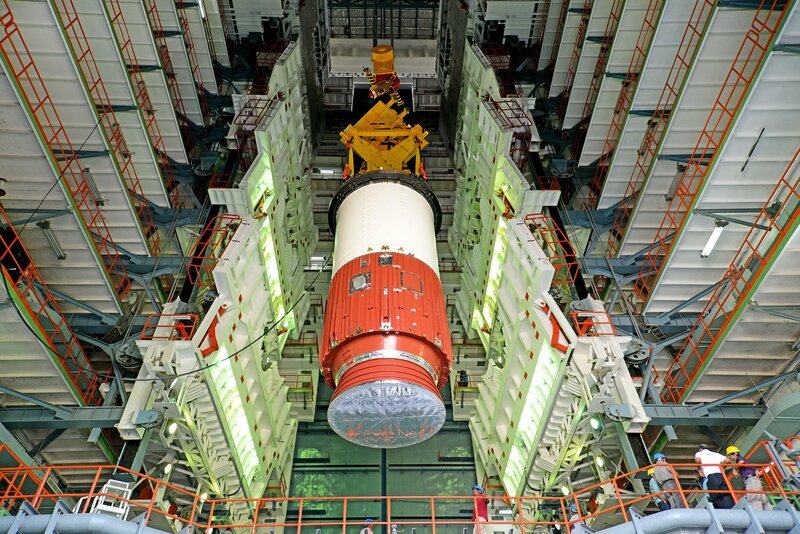 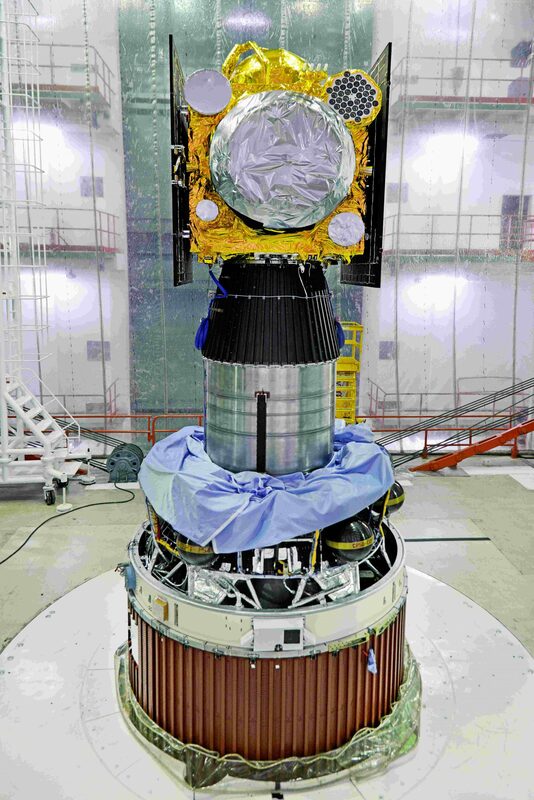 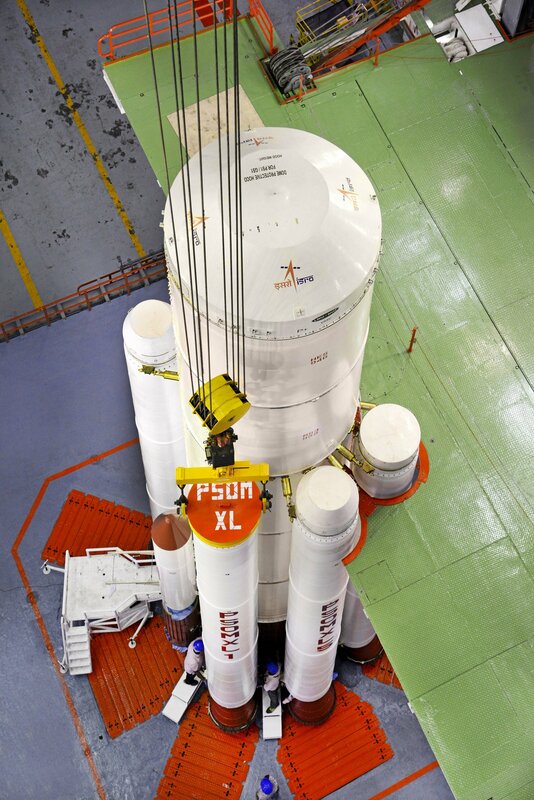 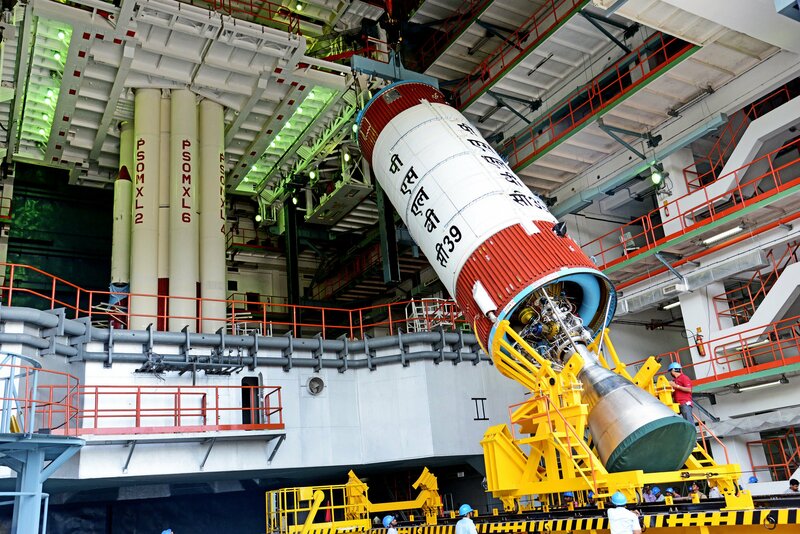 Assembly of the PSLV rocket included the assembly of the segmented core stage followed by the installation of six PSOM-XL boosters and stacking the second, third and fourth stages of the rocket.